If, as Trevor Payne announced at the outset of the Montreal Jubilation Gospel Choir’s appearance Sunday night at the Maison Symphonique de Montréal, it was his final appearance with the choir at the Montreal International Jazz Festival, there’s nothing like going out in a blaze of glory. 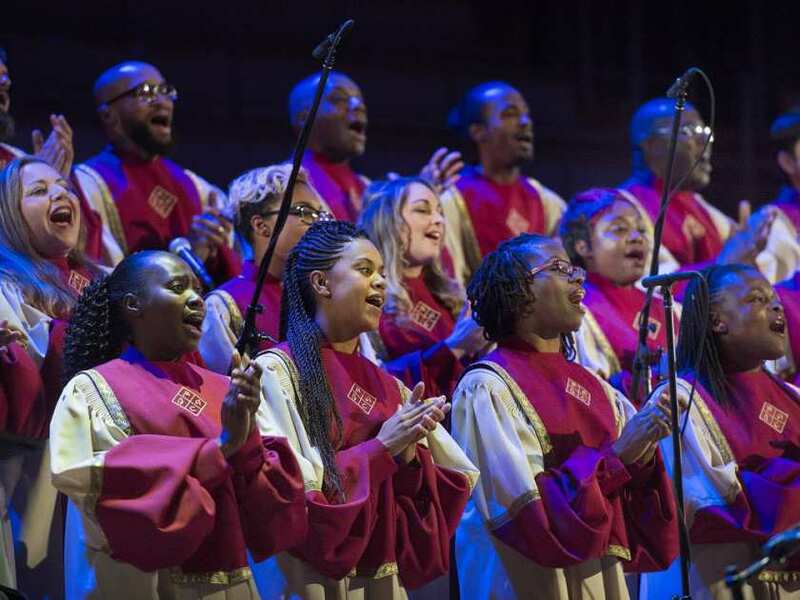 Far from being a melancholy, or even bittersweet farewell, the high-energy, rocking celebration that was — by Payne’s count — the choir’s 14th festival appearance was almost all smiles and entirely electric. Maybe singers and fans were all postponing the day of reckoning with encouraging signs: Payne hastily emphasized that he — and not the choir he has directed since 1982 — was calling it a day after some remaining commitments. He also joked that Oliver Jones — who was in attendance and got a shout-out from the stage — has retired several times.